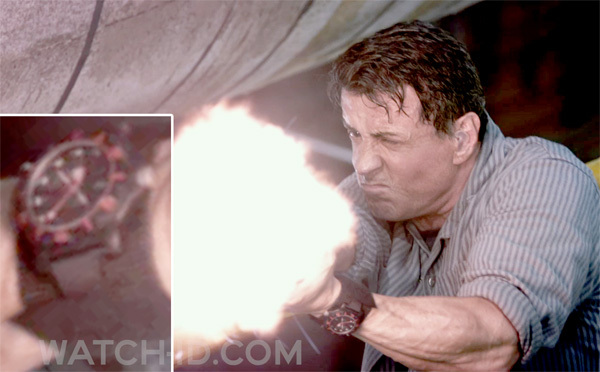 Both Sylvester Stallone and Arnold Schwarzenegger wear Luminox Black Ops A.8815 watches in the movie Escape Plan. The model of the watch was revealed on the Luminox Philippines Facebook page. The watch is set on a wide wristband. 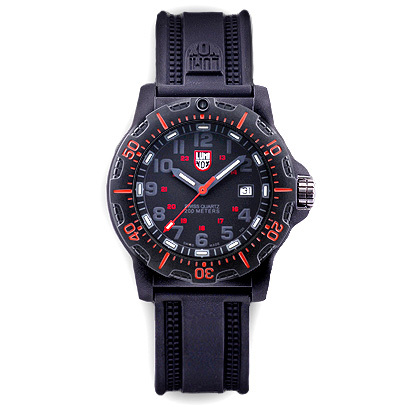 Find more info on this watch on the official Luminox website. The Luminox Black Ops A.8815 is available online for example at Amazon.com for $219.